At the 2017 Sea Otter Classic, versatile drop bar bikes were a continuing story once again. 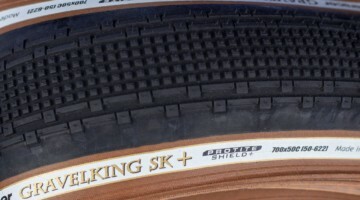 While perspective consumers might argue over labels, and manufacturers attempt to differentiate with clever names and categorizations, cyclists who like mixed terrain riding have never had so many options. Though not specifically for gravel, the new Focus Paralane is an adventure bike for country roads, to use the Germany company's own terminology, but it's no Country Road Bob. 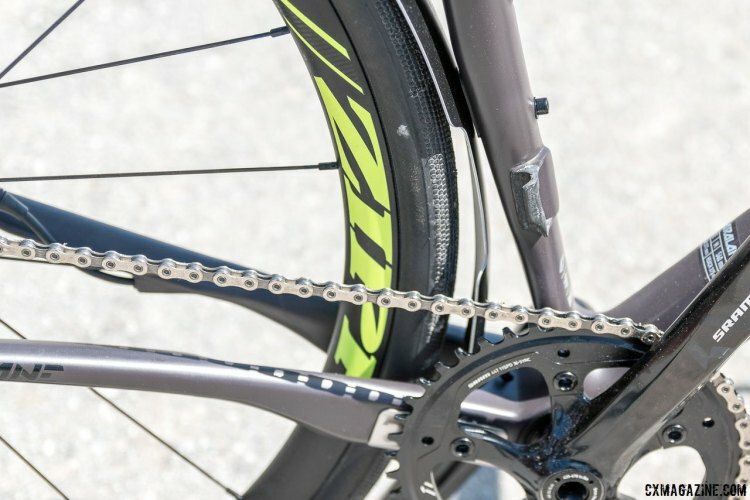 If you spend time categorizing bikes, and this might fit into a comfort road bike category, endurance road, or all road, competing with the Specialized Roubaix or the Trek Domane. 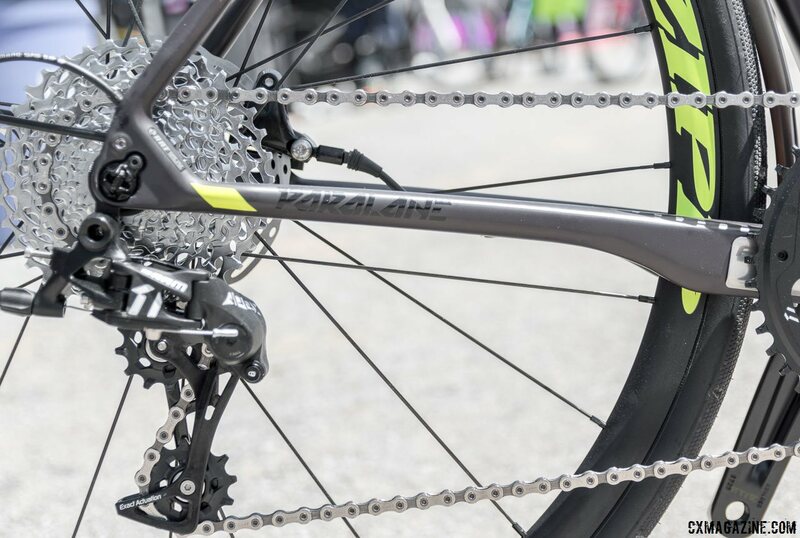 We see it as a nice bike to maybe add to the stable if you like to ride your road bike off pavement, and it does have greater tire clearance than the aforementioned bikes. The geometry is in between road racing and cyclocross, relatively tight despite the generous tire clearance, with 41.5mm chainstays and a 996mm wheelbase in a size M frame (that has a 547mm effective toptube). The bottom bracket drop is 75cm, a road standard. 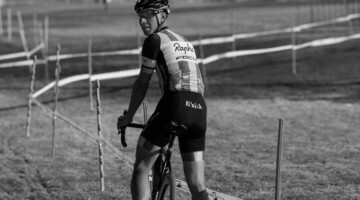 It's a more gravel-oriented ride than the Cayo ridden by Jeremy Powers was riding in 2015. Focus' bikes are said to be produced in Germany, but of course when speaking about carbon, that might come down to how you define produced. Regardless, Focus' frames boast elegant aesthetics with unique frame shapes and curves. Even the control line entry and exit points are not always usual. The Paralane is no exception with a carbon frame that has tire clearance up to 35mm. 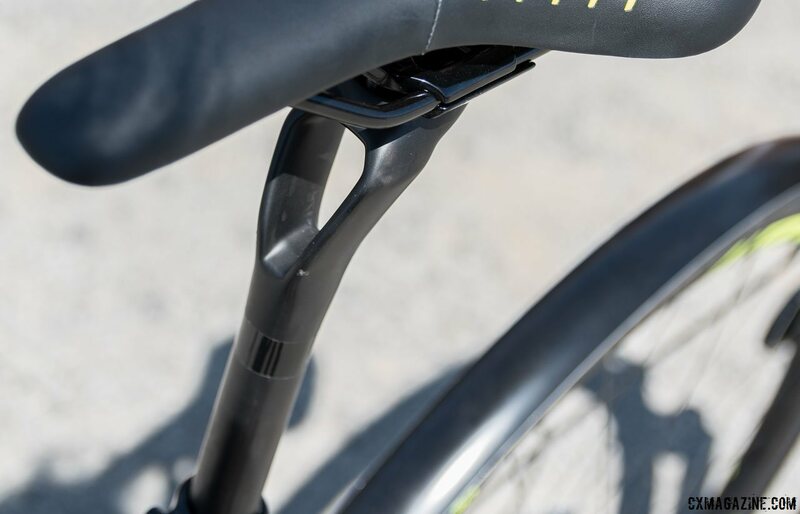 The seat tube is flattened with a thin fore-aft cross section and the chainstays are thin in the vertical dimension both to offer a more compliant ride over rough surfaces. The seatpost diameter is 25.4mm, with the small diameter and interrupted, hollow center adding more post flex for compliance. 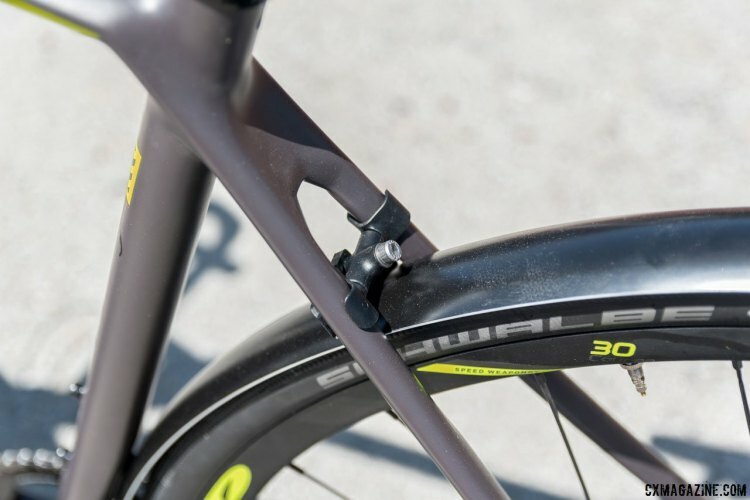 The Paralane includes a set of fenders, though the bike we saw at the Sea Otter Classic 2017 had Schwalbe S-One Tubeless Easy tires that measure 30mm, and the fenders looked to quite close to the tires, suggesting larger tires would require removing the fenders—an easy task on the Paralane. The front fender’s stays fit into special mounts on the fork ends and offer a clean look and easy release should something get lodged in the fender, an event with reasonable likelihood especially when riding trails strewn with sticks and debris. 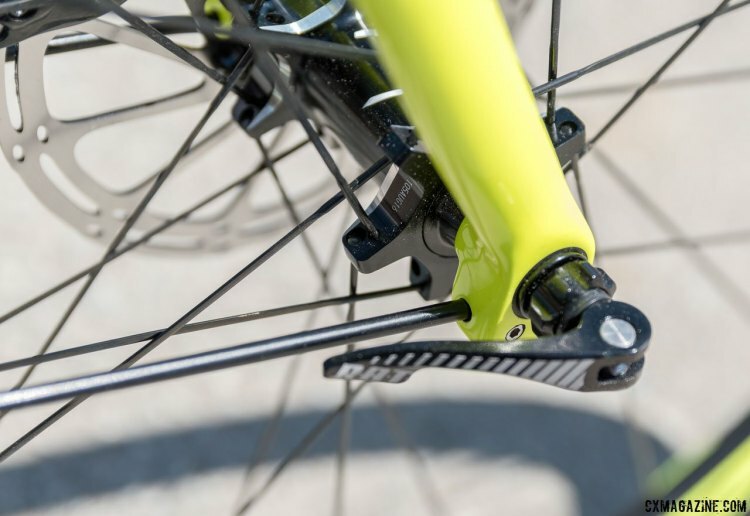 The carbon Paralane has 12mm thru-axles front and rear with the RAT (Rapid Axle Technology), an open platform developed by Focus to make wheel changes a bit less tedious with thru-axles. 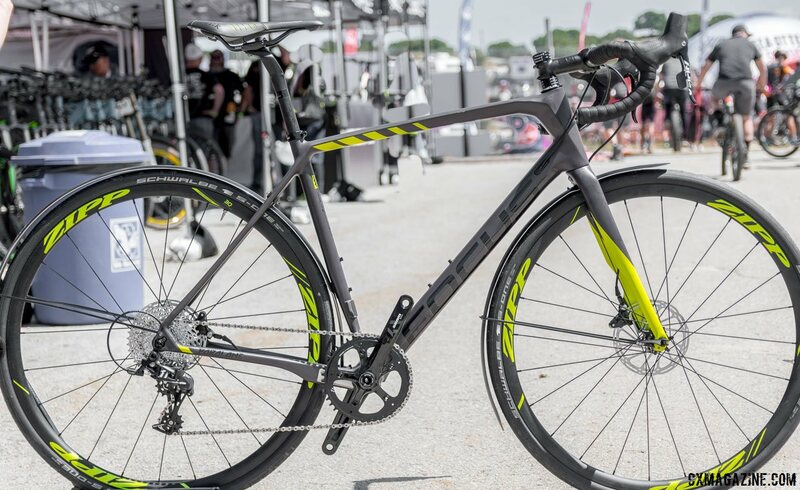 Several models of the Focus Paralane are available with a SRAM E-Tap equipped model at the top for $6750 complete with Fulcrum carbon wheels, showing that the Paralane is a performance oriented bike. The carbon Paralane has 6 models all the way down to a Tiagra equipped model, and there is an aluminum Paralane as well available in four models in Europe but not the U.S. currently. The bike on display is a $3750 Factory model, with a parts mix and color scheme determined by one of the Focus employees. The Factory Paralane carbon is charcoal colored with day-glow graphics that matched with by the graphics of the Zipp Course 30 wheelset. The Factory build is Apex 1 HRD with a Fizik Antares saddle Schwalbe S-One 30mm tires on the Zipp Course 30 wheels. It’s a bit odd to see a SRAM Apex model retail for $250 more than an Ultegra build, but the price is of course determined by more than just the drivetrain. The company has a women’s model, called the Paralane Donna. 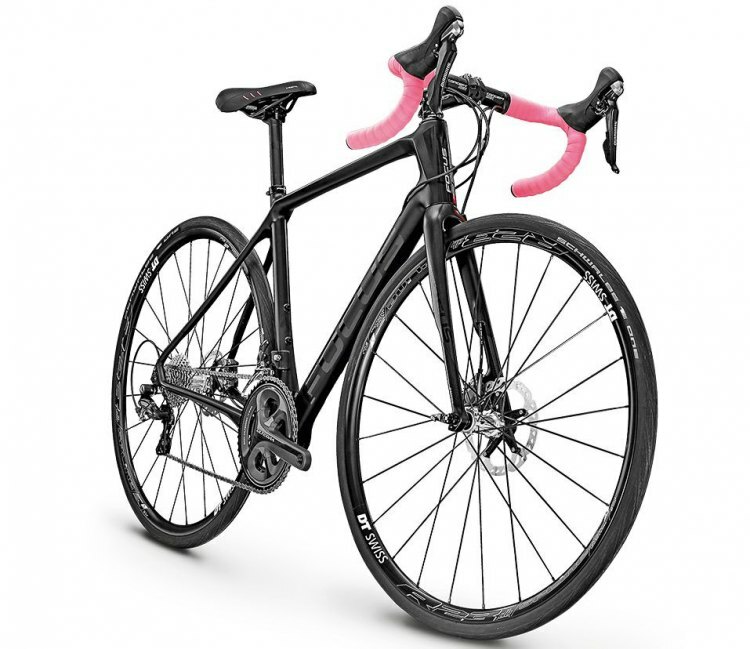 Focus can’t be accused of just “pink it and shrink it” as the frame is the exact same frame offered in other models, just with “women-specific touch points.” It does have pink handlebar tape, however. Focus Bikes' Paralane Donna women's model takes the smaller frame and adds women-specific touch points..
See our ever-growing stream of new cyclocross and gravel-oriented bikes, wheels, tires, components and cycling gear from 2017 Sea Otter here. Only two sizes?! Why, that’s crazy. We made an error, and didn’t update the captions when we thought we fixed it. The site shows two at a time but there’s more sizes. Sorry for the confusion.